Glenna Brown Adams age 83 of Greenbrier, passed away on September 5, 2018 at NHC HealthCare in Springfield. She was born on December 16, 1934 to the late Arnold and Ruth Brown in Bloomington Springs, Tennessee in Putnam County. She married the love of her life, Mr. James Clay Adams, on March 29, 1952 becoming an Army wife and being blessed with three children. 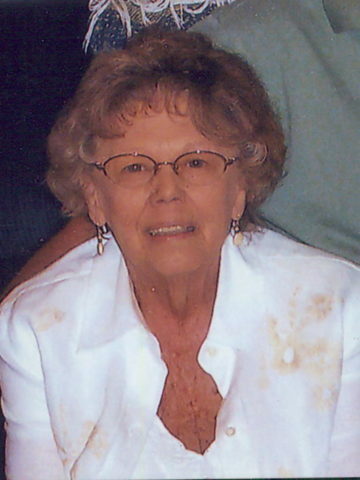 Glenna graduated from Nashville Metro Schools in 1952 as a Licensed Practical Nurse. She went back to nursing school at St Thomas and worked at Parkview for nine years before moving to Jesse Holman Jones in Springfield. She worked on 2N and 3N until the opening of NorthCrest in 1995. Nursing was not just a profession but who Glenna was. She made sure everyone got the care they deserved, on numerous occasions she stayed late and arrived early just to make sure every patient felt loved to the very end. She retired in the winter of 1996 after many years as a nurse. After Jim retirement in 1993 and her retirement 1996, they began to travel and truly focus on each other. They went to Europe in 1997, thanks to their daughter, and traveled all over Paris, London, and Italy traveling on the Orient Express. One of the most memorable moments on this trip for Glenna and especially Jim was going to the beaches of Normandy. They continued to travel as much as possible, they loved buying toys for the grandchildren, going to movies and just spending quality time together. They celebrated their 50th wedding anniversary and renewed their vows in front of their family and friends in 2002. It was evident by everyone that was there, they were just as much in love that day as they had been so many years before. The last two years Glenna had been through a lot, yet her first concern has always been Jim and her children. After Jim came home the last time from the hospital she continued to check on him and make sure he had everything he needed. Three weeks ago, to the day, her beloved husband passed away. It is believed that she knew her job was done, she had made sure every need of Jim was taken care of and it was time for her to join him. In addition to her parents, Glenna is preceded in death by her husband of 66 years, James Clay Adams and their son, Barry Adams. She is survived by her children, Kim (Ronnie) Holt and Jeffrey Scott (Kim) Adams; brother, Jack Brown of Virginia; 8 grandchildren and 3 great grandchildren. A Life Celebration will be held on Saturday, September 8, 2018 at 1pm in the Chapel of Springfield Funeral Home with Bro. Nathan Washburn officiating. Entombment will follow in the Chapel of Memories at Springfield Memorial Gardens with Jason Aguilar, Chris Adams, Philip Holt, Eric Holt, Marty Schmidt, and JJ Adams serving as pallbearers. The family will receive friends on Saturday from 9am until the time of service. Glenna and I were best friends for 58 years. When I met her she became my family at a time I needed a best friend, a big sister. We called each other sisters. We raised our families together and have been together in times of hurt and loss and tried to encourage each other and she did give me strength and love. She was so kind and good to me. We said our good bye’s on September the 3rd at NHC, and even though she was not able to talk much, she said, I love you and I said I love you too Glenna. She has gone now to a beautiful new home with the family she began her life with and she now has her real sister back and she is happy and no more pain. I will miss her so much. Such a beautiful woman inside and out. Enjoyed working with her. Glenna was one of the sweetest person I ever met. I loved going to the movies with her and that sweet little giggle she had. I loved her dearly and she will be forever missed. Love you Glenna Rest In Peace..
Kim I am so sorry for your loss. You’ve had a really rough month. What a wonderful daughter you have been to your parents. You took on the caregiver role which is very tough both physically and mentally. You were always there for your parents. I met your mom once and she was the sweetest little lady to me. Glenna and James will be forever loved and missed. My heart goes out to you Kim. If you ever need anything sister I am here for you. Great website, lot of usuable information! Appreciate the time you took to put this together.